This week IPR News is taking a look at water quality in the state. 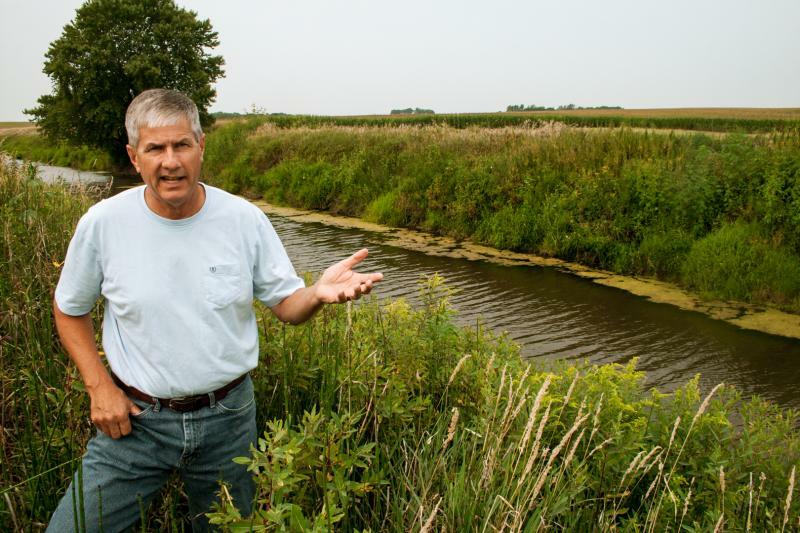 Iowa Lawmakers, farmers and environmentalists continue to debate the best way to curb water quality issues, following an unsuccessful attempt to fund more projects this legislative session. The Iowa Department of Agriculture and Land Stewardship has awarded $12 million to 45 demonstration projects in the state. 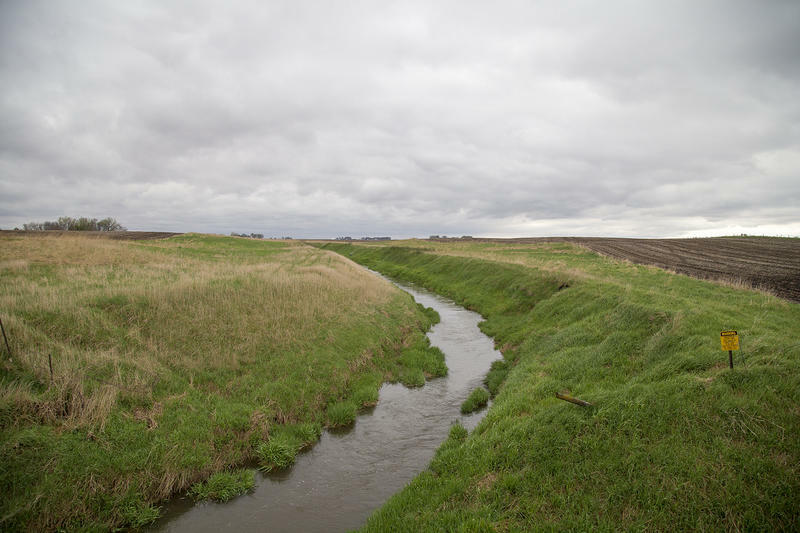 Many of these water quality practices were laid out in the Iowa Nutrient Reduction Strategy from Iowa State University, IDALS, and the Iowa Department of Natural Resources. It's a voluntary program meant to encourage farm conservation practices unveiled in 2013. "We need to know what landowners are doing," the Environmental Working Group’s Craig Cox says. 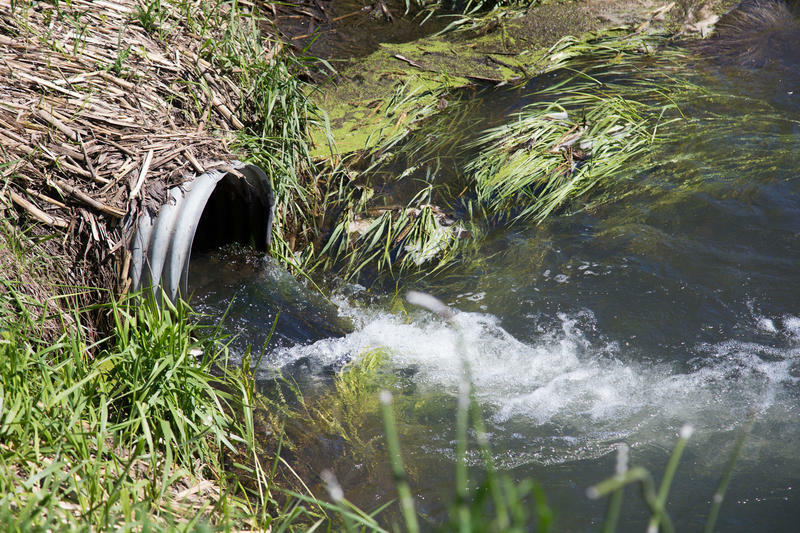 EWG issued a report earlier this year that says Iowa is fooling itself it thinks voluntary practices are improving the water quality in the state. "Otherwise it just devolves into a he said/she said argument absent really solid data about what kind of conservation measures landowners are taking," Cox says. Landowner Lee Tesdell has a bioreactor on his land in Polk County. Water flowing underneath his farm ground through pipes, commonly called drain tiles, goes through an underground trench of wood chips. It filters the water, removing a toxic fertilizer byproduct called nitrate. Tesdell also plants cover crops. These are plants that grow during the cool season – and keep roots in the soil to lock in more nitrates and keep them out of the underground plumbing system. "On all four sides of me there’s nothing growing on the land for seven months," Tesdell says. "What we’re trying to do with cover crops is have something growing 12 months a year." Tesdell works with the Iowa Soybean Association to monitor his water. "We focus at both that watershed scale so that we can document the changes year to year at the tile," Kiel says. "But then over time as practices increase we can scale up and hopefully see improvements in the water at the watershed scale." Kiel says many farmers this year are apprehensive about implementing water quality practices on their land because grain prices are low and a lot of farmers are just breaking even. "Sure, there’s a little bit of yearly variability," Practical Farmers of Iowa’s Sarah Carlson says referencing weather patterns impacting the amount of nitrates leaving farm fields. "But the system as a whole could better control the major loss of nitrates if we just had more cool season plants out there." Carlson says it’s still a relatively small number of acres planted with cover crops in Iowa but the number is growing. The University of Iowa’s IIHR Hydro Science and Engineering has real-time sensors monitoring water leaving the state. "In addition to the research that we’re doing that will help to uncouple the forcing of the hydrologic conditions - whether we had a wet year or a dry year from measurements of concentration and load," the organization's Executive Director Larry Weber says. "(It) will give us a clearer understanding of whether or not we’re improving Iowa’s waters." Meanwhile Craig Cox with EWG says $3 billion has been spent on federal conservation programs in Iowa over the last decade. He says the focus shouldn’t be on money. "Are there some basic protective practices that landowners ought to just be expected to keep in place as part of the responsibility of landownership?" Cox asks. That’s a question that will yield drastically different answers as Iowa continues to debate its water quality. 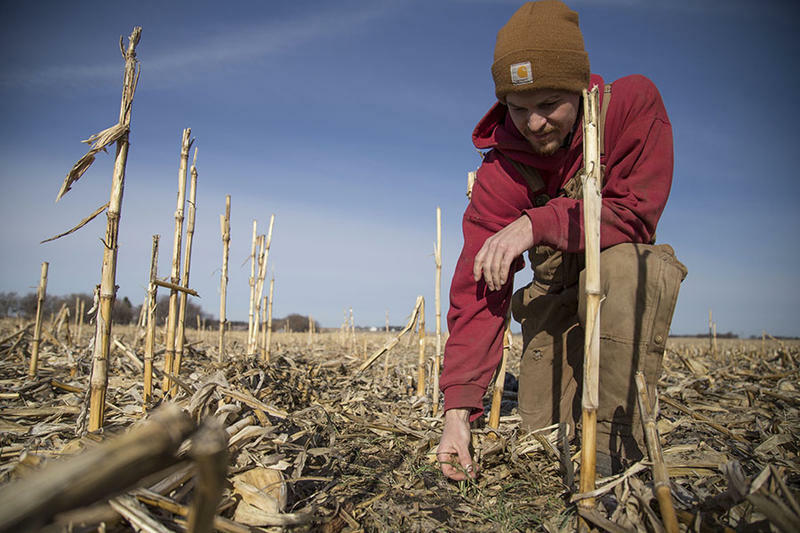 A state cost share program designed to help Iowa farmers install nutrient reduction practices on their farm is entering its fourth year. Lawmakers and the governor struggled this legislative session to come up with a way to spend more money on water quality in the state. In the last three years, the state has awarded $12 million on 45 different projects.